The Power of Soul reveals divine soul secrets, wisdom, knowledge, and practices to transform the consciousness of humanity and all souls, and enlighten them in order to create love, peace, and harmony for humanity, Mother Earth, and all universes. 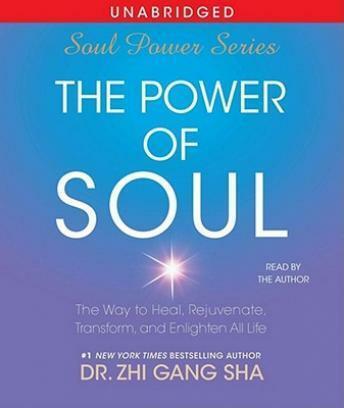 The Power of Soul is the leading authority for Dr. Sha's entire Soul Power series. The divine soul secrets, wisdom, knowledge, and practices found here will lead humanity and all souls to the universe of soul over matter. Dr. Sha shows listeners the way to heal, rejuvenate, transform, and enlighten all life.